The region of Bavaria (Bayern in German) is a mixture of traditional and modern, and its nightlife is no exception. You can get a flavour of the region’s eclectic character by visiting its vivacious bars and pubs – from stomping the floorboards and beating the table in a Bavarian beer hall to enjoying a sophisticated cocktail in an urban mixology bar. Whether you are in the mood for a few quiet drinks or an all-night extravaganza, Bavaria has somewhere to suit. So prost! (cheers) and enjoy. Hofbrauhaus Berchtesgaden is a fine historical Bavarian brewery and beer hall situated right in the Bavarian Alps. Founded in 1645 by the Duke of Bavaria, it is a friendly and welcoming spot for beer-lovers of all stripes. 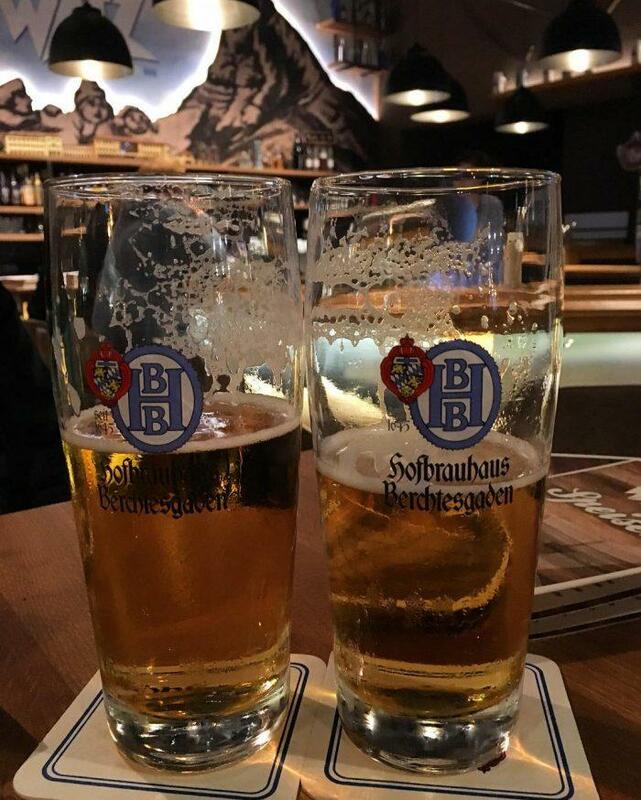 The region is world famous for its beer culture, and the focus at Hofbrauhaus Berchtesgaden is on different brews and their tasty accompanying dishes, from goulash to schnitzel. It’s not all about dirndls and lederhosen – the brewery uses cutting-edge brewing technology, the finest ingredients and specialised craft knowledge to create perfect beer. The picturesque beer garden is particularly appealing in sunny weather. For a slice of authentic Bavaria, we recommend getting the veal sausage and a pretzel with mustard and washing it down with a delicious local Weissbier. “If you want to know about a culture, spend a night in its bars” – so advises the menu at Golden Glimmer Bar in Augsburg, and we’re inclined to agree with them. If you’re in a modern mood, give this trendy and laid-back slice of cocktail perfection a try. It has a cool, stripped-back interior that is heavy on the brushed metal and wood and light on the knick-knacks, with an airy and minimalist appeal. The large ceiling lamps were taken from the Bonn parliament building. 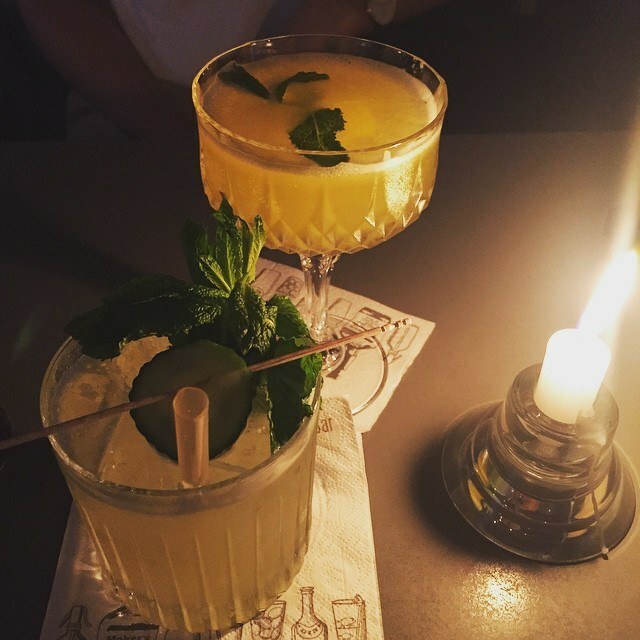 The Golden Glimmer Bar is a must for lovers of unusual cocktails, with inventions such as Penicillin (Black Bottle scotch, lemon juice, ginger liqueur) and Dirty Unicorn (mezcal, rosé vermouth, pink grape, agave) sitting alongside all the classic gimlet and margarita favourites. The bar is a good place to discover up-and-coming musicians, who sometimes perform here. If all those cocktails get you feeling peckish, don’t worry – the bar also serves small snacks and antipasti. The Atelier Bar, located in the Méridien Grand Hotel Nuremberg, is one of Bavaria’s most glamorous night-time options. A pleasant café restaurant by day (which even has an éclair of their own creation, the Franconian Éclair), the Atelier morphs into a lively scene bar by night. Popular with locals, it has a spotless Art Deco interior that makes it the perfect setting in which to show off your glad rags and pretend to be a movie star. The cool interior features green marble and stained glass, gently warmed by candle lighting to create an intimate and stylish atmosphere that’s hard to beat. Every Thursday and Saturday jazz bands perform, enhancing the old-world allure. There is a cocktail hour each evening from 5 to 8pm, where you can help to keep the classic aperitif tradition alive with sparkling conversation and conviviality. Coverphoto: A right Bavarian bash in the city of Straubing. Photo by Avarty Photos.